Learn How To Make Money Online With Digital ProductsNew opportunities make it easier to start an online business these days. However, there is a lot of confusion out there and the misleading information could leave you overwhelmed with "information overload". 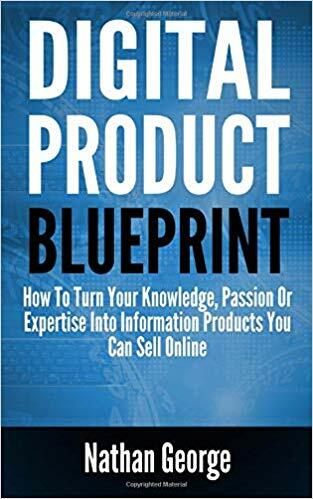 Digital Product Blueprint cuts through the fluff and heads directly to one of the fastest ways you can start making money online today. You don't even need to have a website and deal with the challenge of generating your own traffic to start making money online these days. Previous Methods Now Take LongerA few years ago it was easier to start making money online from a blog or a niche website as an affiliate marketer. However, it takes longer now to gain traction as a new affiliate marketer due to oversaturation and constant Google algorithm updates making it harder for new websites to rank and get noticed. A Faster Way To Make Money Online For A BeginnerCreating your own information product is currently one of the fastest ways to start making money online. You don't even have to create a website to start earning online these days hence it is actually easier to make money online now, but by doing things differently. Create Assets That Make You Passive IncomeWith a digital product, you create it once and it generates passive income for you for the rest of its lifecycle. With each information product you create, you're adding assets to your portfolio, making you even more passive income. You Don't Need To Be A Guru Or An ExpertOne of the biggest perceived roadblocks many people face when it comes to creating an information product is the belief that they need to be an "authority" on something. The reality is that the roadblock is just an illusion! To create helpful content you just need to know more about the subject matter than your target audience does and hence they can learn something from you. In fact, they may find it easier to learn from someone like you rather than a "guru" who may be too advanced and unable to relate to their needs. The best people to learn from are those who are just slightly ahead of you on a particular path. What You'll Get From This Book:How to find profitable niches for your information products using proven research and selection methods. This ensures you create products that actually sell. Proven techniques for how to communicate your ideas effectively. How to create your content fast using some of the best techniques and tools in the industry. How to choose a name that sells your information product for you. How to sell information products without creating a website or worrying about generating traffic. A step-by-step guide for how to set up your website, if you choose to sell your information product from your own site. How to use online marketplaces like ClickBank and JVZoo to process payments and handle all customer orders. How to generate traffic to your website using proven and evergreen methods. Scroll up and click the Look Inside feature on the top left-hand side of the page and get started today!